Quotient Investors has current portfolio of $458 million with Pilgrim’s Pride Corporation (NASDAQ:PPC), Johnson & Johnson (NYSE:JNJ), Apple Inc. (NASDAQ:AAPL) as its primary stock holdings. According to the recent SEC 13F filing of Quotient Investors on October 14 2014, the top 10 stock holdings of the fund account for 23.78% of its overall portfolio and its primary investments are in the field of information technology and healthcare. Pilgrim’s Pride Corporation (NASDAQ:PPC) is the primary stock holding of Quotient Investors, which owns 432,403 shares of the company along with current market value of $13.21 million. The food processing company reported net sales of $2.3 billion during its third quarter 2014 along with a net income of $256 million. Gotham Asset Management is the largest investor of the company with investments exceeding $60 million. Some of its other primary investors include Renaissance Technologies ($21 million) and Aqr Capital Management ($14 million). Quotient Investors has its second largest stock investments in Johnson & Johnson (NYSE:JNJ) with investments worth $12.18 million and 114,318 shares of the company. Johnson & Johnson (NYSE:JNJ) got approval from the U.S. Food and Drug Administration for its hepatitis C medicine Olysio and it is available in combination with Gilead Sciences, Inc. (NASDAQ:GILD)’s Sovaldi for hepatitis C treatment. 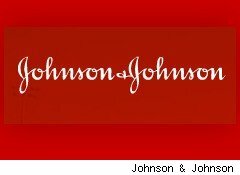 Johnson & Johnson (NYSE:JNJ) reached its 52-week high share value of $109.26 earlier this week. Apple Inc. (NASDAQ:AAPL), the iPhone maker, is the third largest stock investment of Quotient Investors, which owns 118,827 shares of the company at current market value of $11.97 million. It was an excellent quarter for the iPad maker because of the success of iPhone 6 and the company is all set to regain its brand power. According to a research done by China Brand Research Center, Apple Inc. (NASDAQ:AAPL) has recaptured the title of top mobile brand in China, beating its primary Smartphone rival, Samsung Electronics Co Ltd (KRX:005930).